Humans often have a tendency to want something badly, but only if it’s beyond our reach. In a similar way, tape, who has its own limitations as a medium of artistic expression, has inspired the members of Tape That, a collective of young artists based in Berlin. It is a constant challenge to balance between the creativity of the team and the limitations of their chosen medium. We say they are a collective, as each member contributes and inspires others in the group. That is a significant advantage, as the members respect one another and actually work together in the creation of their artworks. 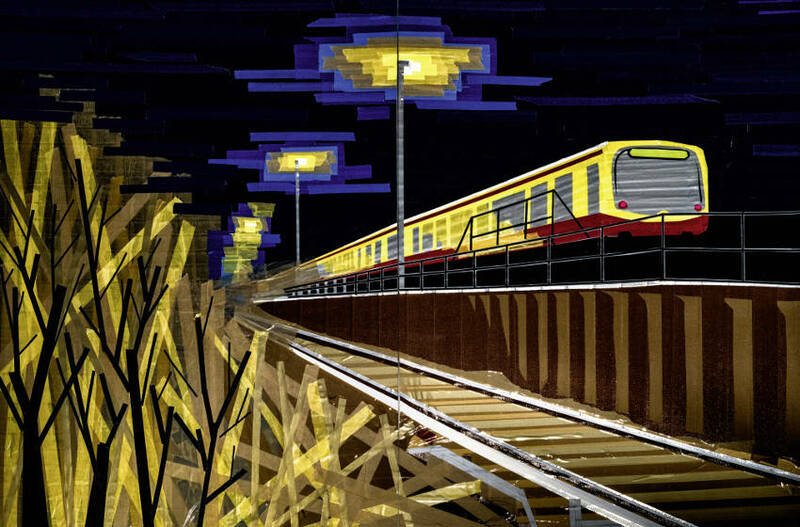 The adhesive tape of all colors, sizes, and materials is used for creating the urban art, which varies from colorful and complex installations to minimalist black and white murals. 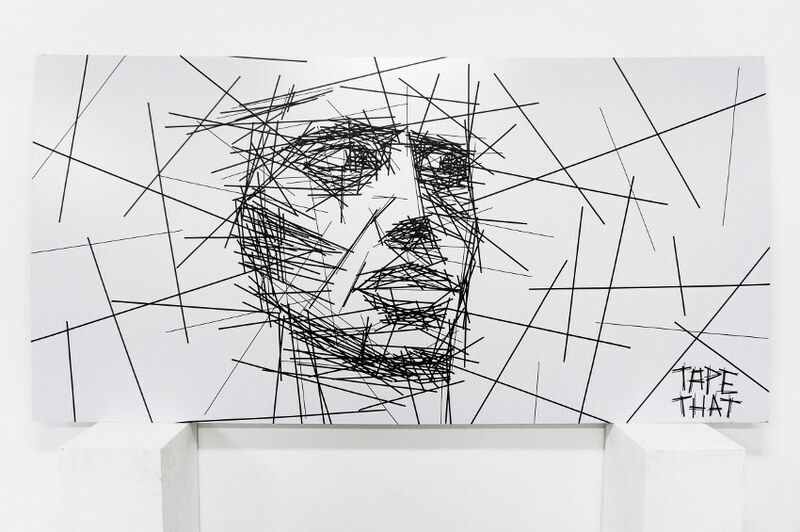 The artworks made by Tape That could be seen anywhere from gallery shows, nightclubs, abandoned buildings, and festivals. As a collective, the main idea behind their work is togetherness, where each member has his/her own style and ideas concerning the artworks, and there lies the secret of their success. They complement and inspire each other, but also the whole group. The part that is most rewarding, probably, is the fact they have an opportunity to introduce this form of art to people around the world who are not aware of the possibilities of the tape. In a sense, they are pioneers of a movement that is yet to shine and show its true potential. 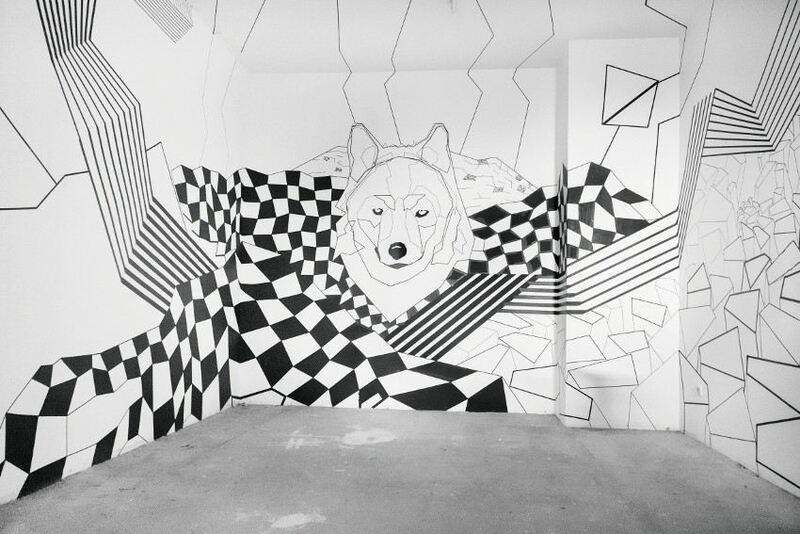 The collective consists of Cedric Goussanou, My Lan Nguyen, Nikolas Lawin, Stefan Busch, Stephan Meissner and Thomas Meissner, based in Berlin and Cologne, all on a mission of spreading the word of tape art. It is certainly a new field, and the artists admit they have witnessed as the people go from skeptical, then surprised, to eventually being amazed during the group’s live performances. The success of the previous projects lies in the strong focus on the cooperation, as it’s crucial for the group. They manage to amaze not just the audience, but also each other, and those creative inputs have allowed the group accept new challenges and bring their art to people from different cultures. It is always interesting when something new happens in the world of art. New movements, new people, fresh ideas. The viewers count on it. Tape That is certainly new on the scene. They have worked with tape as their primary medium since 2011, and even though they are based in and focused on Berlin, they had projects around the world, including Egypt, Spain, Cambodia, and Qatar. We are certainly looking forward to seeing what the future holds for this promising collective. 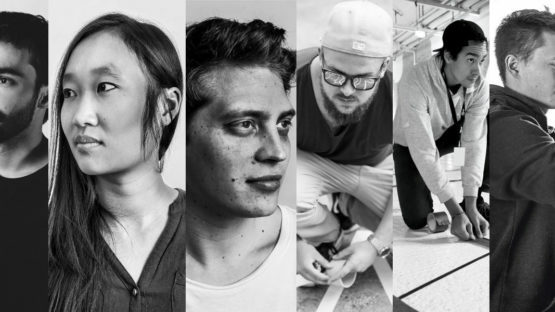 Members of the Tape That collective are based in Berlin and Cologne. All images courtesy of Tape That.